Wooden Boat Magazine's 40th aniversary celebration at their Brooklin, ME. headquarters and boat building school included tours of all the wooden boat building shops in Brookin. 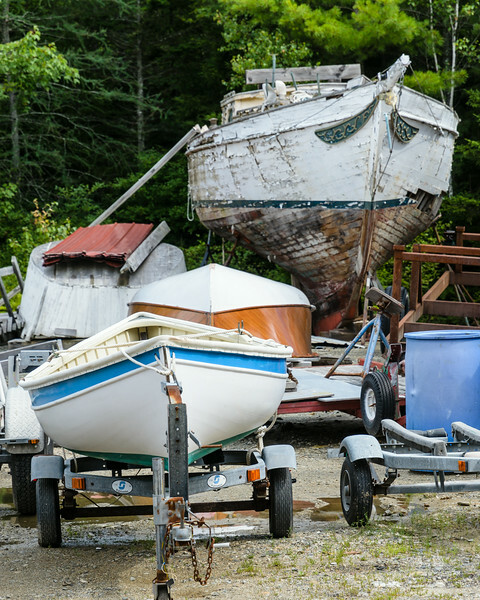 We toured six shops of varying size, including the biggest, the Brooklin Boat Yard. Boat builders back yards of are always filled with interesting stuff.